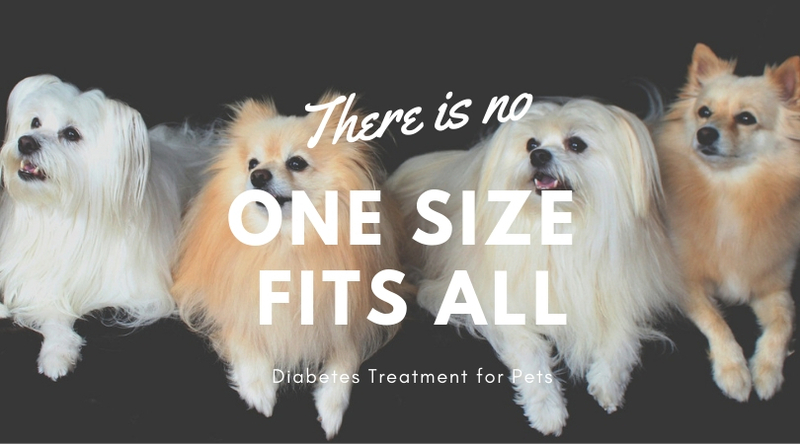 You may also learn how to test your dog’s blood sugar, and you'll probably learn to give insulin injections since most diabetic dogs require them daily. (Don't worry - insulin injections are easier than they sound!) It’s all very doable. 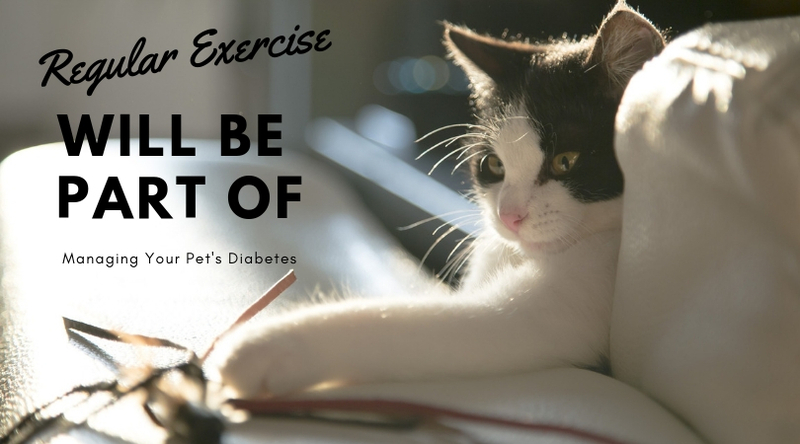 Yes, your cat needs exercise, though you may not be likely to put Fluffy on a leash and take a walk - though if you want to try, check out our guide here. Alternate ways to get your cat moving include playing "chase" or "pounce" with a feather toy. If your cat likes catnip, try offering toys stuffed with it. Know that while kittens are happy to entertain themselves, adult cats will usually require you to interact with them. Every cat is different, but most will enjoy a good play session once you figure out what they like. Besides diet and exercise, you may also learn how to test your cat’s blood sugar at home, and, like dogs, you'll likely learn to give insulin injections. There are some oral medications that may work as well. You’ll veterinarian will discuss appropriate options with you. Managing diabetes requires monitoring and scheduling. You’ll want to monitor your pet’s diet and make sure they have a normal appetite because if they stop eating, that can mean a dangerous drop in blood sugar. You’ll need to maintain a regular meal schedule and check your pet’s glucose levels regularly (or have them checked regularly). It’s typical to schedule regular visits to your veterinarian (likely every 3-4 months) for checkups and bloodwork to ensure the appropriate amounts of insuline are being given and to readjust as needed. If you need to schedule one of those appointments, or if you have any questions about your pet's health, please contact us!